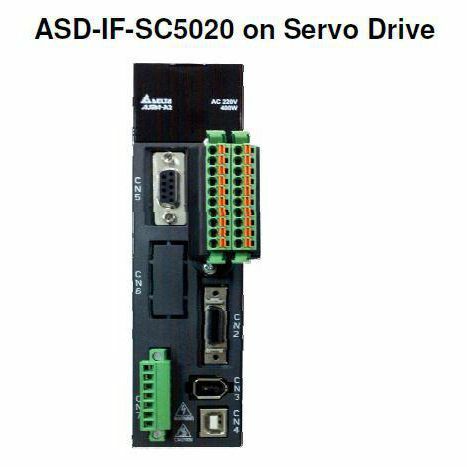 I/O Push In Terminal for A2 Drives ASD-IF-SC5020 | DamenCNC B.V. Instead of soldering to the 44 pin connector. This module allows easy to push in terminals. 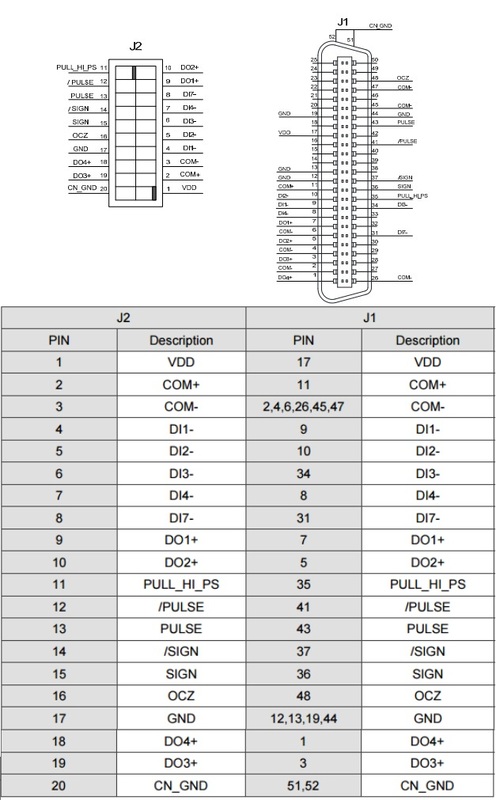 Not all 44 pins are accessible, but the most important ones are. Those used for Servo On, step and direction input, but also the digital inputs and digital outputs. The connectors have labels on them, written is de pin number and function, making it very easy to do wiring. 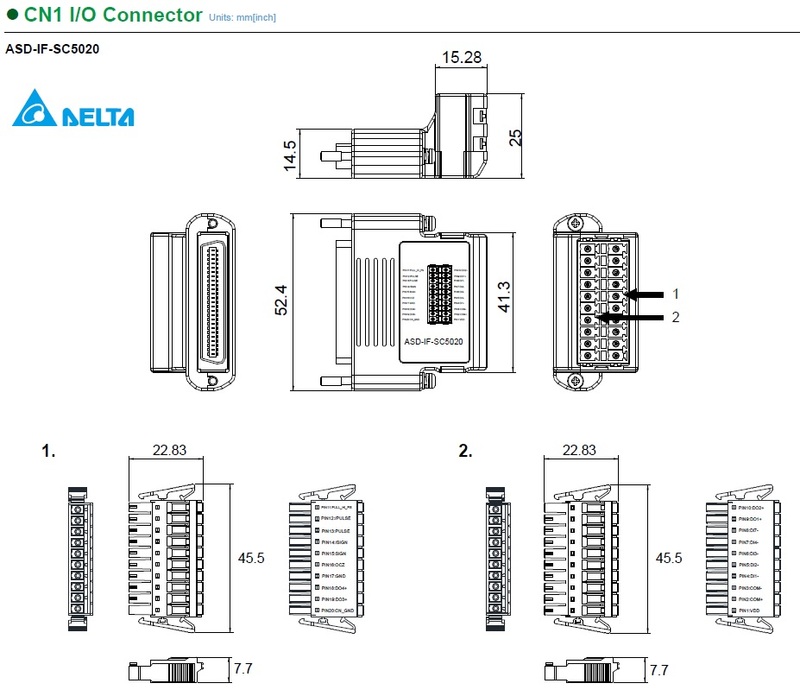 Also the 2 push in connectors are protected, so they cant be swapped. The physical pinning is different/blocked.